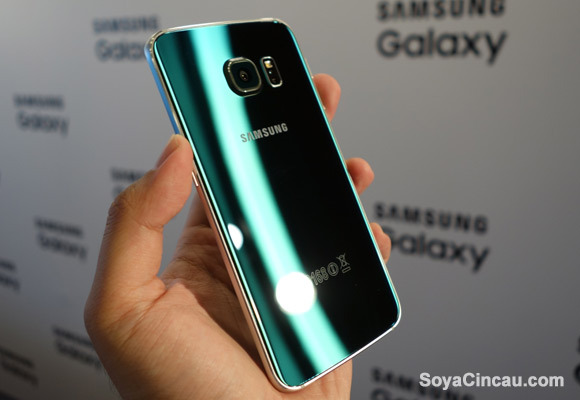 From today O2 will be updating its Samsung Galaxy S6 edge colour-offerings. O2 is debuting the S6 edge in Emerald Green with either 32GB memory, available now, or 64GB, available later in July. O2 will also be expanding their Black Sapphire and Platinum Gold availability across 32GB, 64GB and 128GB memory sizes to replace the White Pearl version. The Samsung Galaxy S6 edge, available on the O2 Refresh tariff, brings together next-generation innovation wrapped up in step-changing design. Using O2 Refresh means those who want to upgrade early from another handset need only pay off the remaining value of their handset (rather than the combined value of handset and Airtime for the remaining time on their contract – potentially saving hundreds of pounds to stay bang-up-to-date). What’s more, with O2 Refresh, customers who want to keep their phone after two years will only pay for their monthly airtime package from that point.